Barefoot Wade is a multi-instrumentalist who performs a fun filled show which utilizes multiple styles of music and creates a lot of smiles in the crowd. On stage he incorporates Steel Drum (Pan Steel), Acoustic Guitar, Bass Guitar, Ukulele, Electric Guitar, Kazoo, Drums and other various percussion that he "loops" together all while singing and joking with the audience. Wade has been parading the east coast for a solid decade bringing his unique show to many coastal waterfront venues as well as music festivals and college towns. Though hard to pinpoint a specific genre of music, he is best described as a "One-Man-Caribbean-Jam-Band". Shortly after the turn of the millennium, Wade dropped out of college, moved to the beach, permanently kicked off his shoes, and began a new life of playing music full time. He bounced around playing in several bands until he saw a Keller Williams show, which inspired him to get a loop pedal and take a different approach to music. After a few years of no footwear, locals started calling him "Barefoot Wade" and club owners started taking the liberty of using that name for advertisement purposes. Realizing that this was a good thing, Wade just went with it, thus completing his metamorphosis. 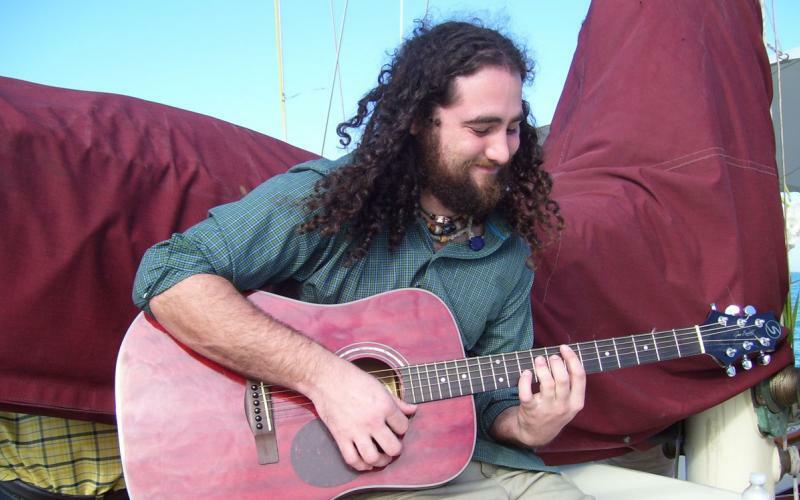 Barefoot Wade spent a few years mostly just playing area beach bars until 2005 when he released his first album and started expanding his horizons. Since then he has released 3 albums (including a recent 2 disc "Live Album") and has been touring from West Virginia to Key West along with a quick stint in the Caribbean. Wade considers himself a nomad as he spends most of the year on tour, however he regards the tiny and blissful North Carolina island of Ocracoke as his home base.